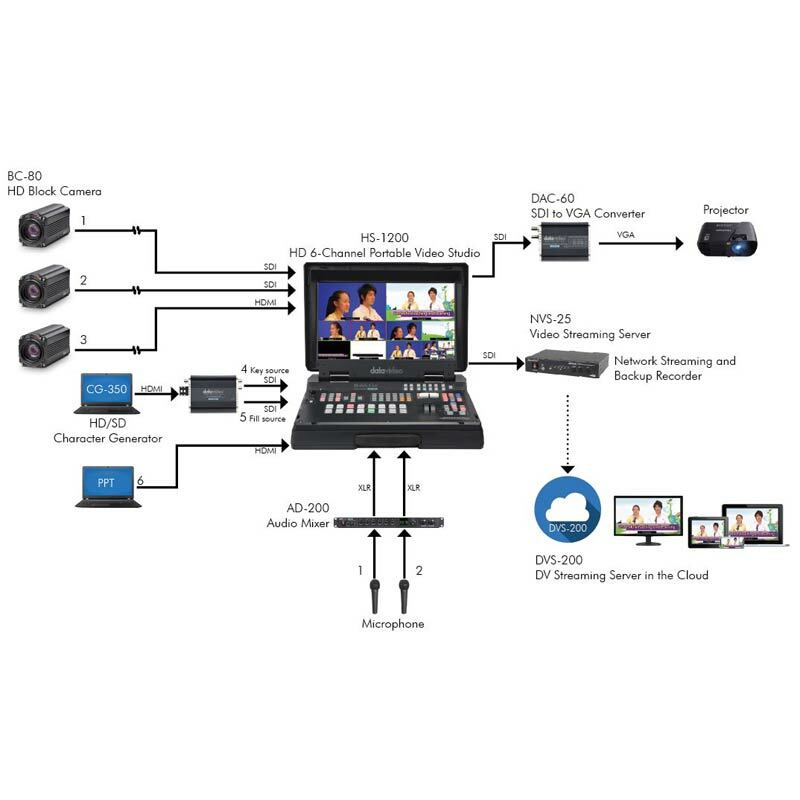 This solution is ideal for campuses that want to have a portable video switcher to take from one classroom to the next for their lecture capture productions. The HS-1200 portable hand carried mobile studio can accept up to 6 inputs, making it possible to have multi-camera productions with PowerPoint slides and title overlay. Pair it up with high quality block cameras for impeccable image quality and stream the lectures using a NVS-25 encoder. Because the switcher is portable, it is easy for transporting around the campus wherever the production is needed. Once the production is over, it can be easily stowed away in a cabinet inside a classroom for security. Easily share your lectures on a private network to your students using the NVS-25 and DVS-200.